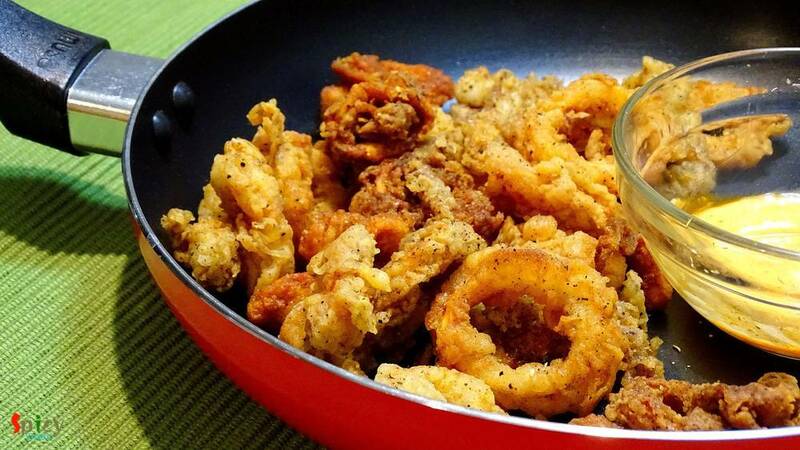 During bachelor life in USA, 'he' went on a trip to Connecticut and had there 'calamari' twice. He just fell in love with the dish. After marriage 'he' insisted me to have fried calamari in a restaurant and I really was not sure about the taste before, so just picked one and put it in my mouth. After that, I, myself finished half of the plate within few seconds. They were that tasty. 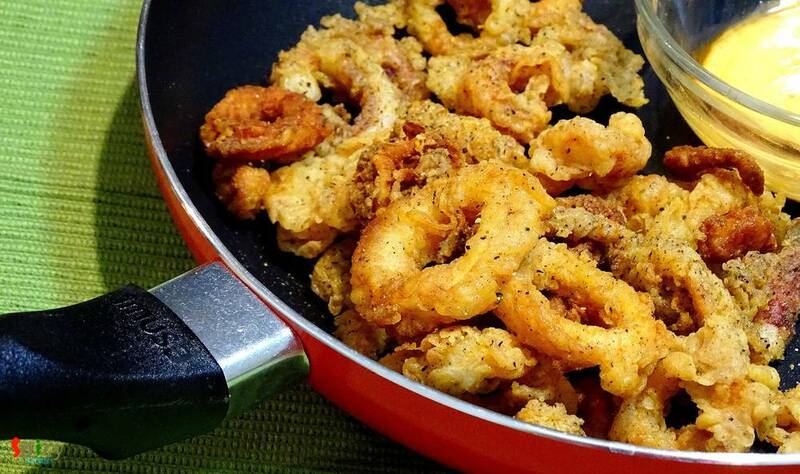 I wanted to make this calamari for long time, but never got the courage. Last weekend 'he' bought squid from market and cleaned them properly by seeing you tube and told me to make fried calamari. I was really nervous at first but then the end result really satisfied both of us. 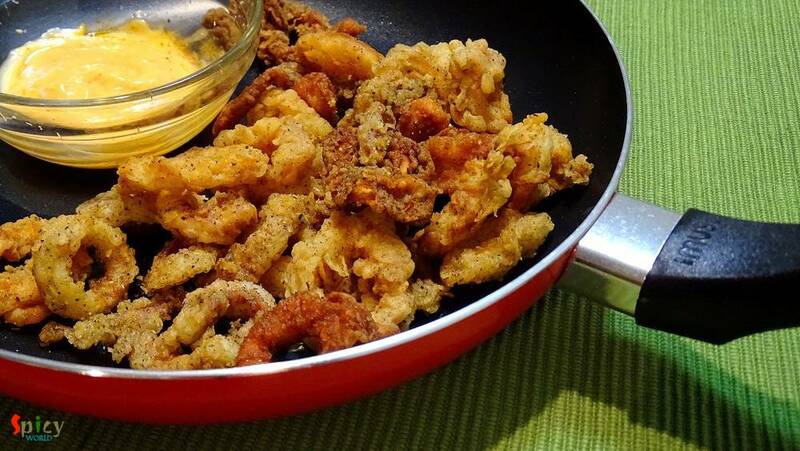 If you are also a squid lover person like us, please try this in your kitchen and I am sure you will enjoy them too. 1 cup of squid, cut into thin rings. Wash the squids very well in water. Then take half cup of flour, salt, 2 Teaspoon oil and some water in a mixing bowl. Mix them well and make a thick batter. Put the remaining flour in another bowl along with salt, black pepper and red chilli powder. Mix the dry Ingredients very well. Dip one ring in the flour batter first. Coat it well. Then coat it in dry flour mixture. Put the coated squid ring in hot oil. Oil should be really hot. Fry them till golden in color. It will take 2 - 3 minutes. Then remove them from oil and place on a tissue paper.